This is a directory of the best food photographers on Instagram. It is meant to be a living, breathing, ever-growing list of talented food photographers that regularly post images on social media and on Instagram specifically. As a Professional Food photographer, I like to keep up on the current trends in my profession. Scanning various food photography Instagram pages is a great way of doing that. I’ve collected the addresses of all my favorite pages so that I can visit them from time to time in order to keep up and you too can use this directory to do the same thing. Some of you may be looking for a certain type of creative inspiration and want to view just food photographers of a particular category while others may want to investigate all kinds. Whichever you prefer, you can visit one or all of the three categories below. The food photographer sites were selected by the quality of the food photography, not the quality of the recipes being photographed. 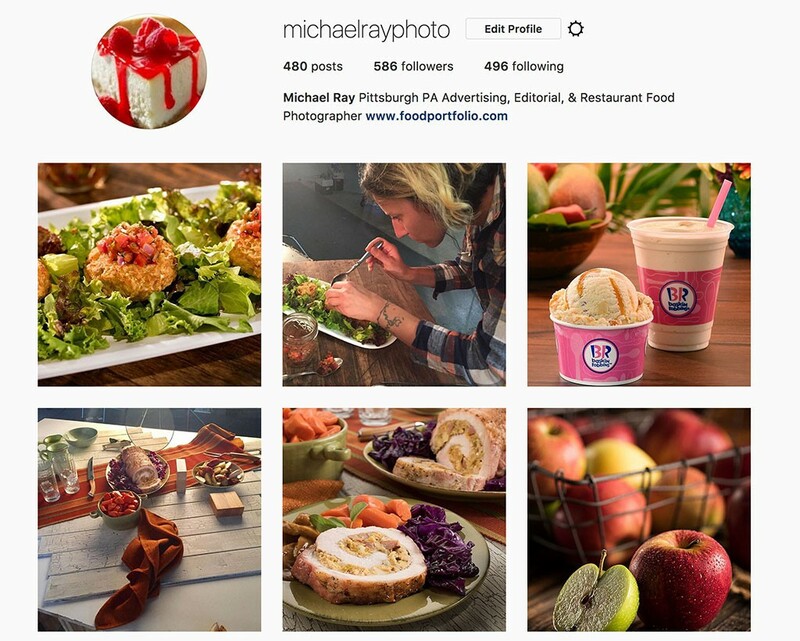 I’m listing myself here just so I can eisly click and compare my work against these other food photographers. Like my other directories (100 Best Food Photographers) and (Food Stylist Directory), I use these listings as a reference to see what’s current and also to motivate myself when my creative juices are running low. Some of the best food photography Instagram pages are those that collect the photos of multiple food photographers. This is a living, breathing list of the best food photographers on Instagram and to keep current and accurate, I could use your help. If you have any suggestions of food photographers I should add to my list, please email me and I’ll add them if I think they belong on the list of “Best Food Photographers on Instagram“.